Is daycare right for your young dog? Firstly your key socialise phase tailed off around 14-16 weeks and if your puppy wasn't confident enough then for free group play, neophobic adolescence really isn't the time to heap on the pressure. Secondly we don't know if the unconfident puppy may be caused by some learnt history, discomfort or genetics, and being in a space where they can't avoid play could make them learn that play / interactions are sore or overwhelming. Unhelpfully young dogs will often use play as a way to appease with unfamiliar dogs, so seeing a young dog use play behaviours doesn't always mean it's true play - yup, confusing! The additional problem is that it can give owners a false perception of their dogs progress and confidence. As mentioned, the dogs may play and interact when in the daycare facility but is that because they really want to or because they are in an enclosed space and have no choice. I regularly see dogs for behaviour treatment who "love daycare" but are gradually becoming more over-excited or grumpy with unfamiliar dogs on walks. From a behaviour point of view, over-appeasement (pulling towards other dogs, excessive wiggling, low posture, excessive play requests) and grumpy behaviours (tense body, air snaps, growls, grumbles) come from a similar state of mind and suggest a dog feeling uncomfortable with the interaction. And unfortunately the over-appeasing youngster often grows into the grumpy adult if we don't intervene early and change their view of the interactions. And this isn't just a result of group play, nervy young dogs that are regularly walked in busy doggy parks, will practice rushing over to all dogs and may go the same way. Daycare is a great resource when set-up correctly, with well trained staff, small matched groups, a schedule of regular downtime and positive play interrupters BUT, even in the best run facility, the enclosed nature means it's best suited for relaxed, forward dogs with a lot of natural resilience or good experience. If you do plan to use daycare for your adolescent dog, either get them used to it from a young puppy (if confident enough at the time) or look for a facility where dogs can be picked up for group walks and then dropped home. Being around dogs, but in open spaces, is much easier for a new dog as the scents and sounds distract from the pressure to interact. It also limits the dogs activity levels at a time they may already be dealing with some growing pains or similar. I say all this not to be a killjoy, I love watching dogs play as much as anyone, but with the aim to reduce the chance of seeing your dog for more serious behaviour work when they are older. So what should we do with mildly nervous young adolescents? Firstly it is good for them to meet friendly unfamiliar dogs, but manage their interactions, and keep them short and sweet. Secondly, and with dogs that they may like to learn to play with, let them get to know the dog first gradually through an onlead walk. Once the dogs consistently show more forward relaxed behaviours with their new budding friendship, then allow them to have play time but be ready to do regular recalls to interrupt the play. This will teach them to both like interactions and to trust it is on their terms. Lastly, don't worry if your puppy isn't a social flutterby - all dogs are individuals, and in the same way we wouldn't throw a nervous toddler in at the deep end to learn to swim (i'm told that is not the done thing nowadays), we shouldn't do this with our dogs. Time and gradual, positive exposure is more effective than drowning. Happy New Year! And how to make your resolutions stick. Happy New Year! How’s the head? Don’t worry, I’ll talk quietly for those of you feeling delicate. Firstly, changes are tiring, we must mentally work much harder as new behaviours usually use our conscious mind rather than our unconscious mind. Our brains will always try and save energy where we can and this can cause us to feel like we are on auto pilot – ever noticed driving in the car and not remembering much of the journey? Stuff that doesn’t require much thinking is usually preferable and often bad choices are the lazy ones. Secondly, we need to create new habits and these can take many weeks and months to embed, particularly those that aren’t as naturally self-reinforcing as downing a chocolate bar. Most people have given up by then but, to help motivate, it is worth remembering that good habits can be as hard to break as bad ones. So, unless you are trying to instil something that you find truly horrible, give it enough time and it should become second nature. Thirdly, new behaviours need to be reinforcing. Our rewards system is mainly driven by internal chemicals such as dopamine and this drives what we enjoy and what we will keep doing. For most people this system is easily triggered by food, the unhealthier the better, and therefore it can be hard to break the bad eating habit. When dieting, some people advise having a little of what you like to keep on track however this can maintain the almost addictive nature of these trigger foods - complete avoidance would suit other people better until the urges have subsided. Avoiding unhelpful habits also helps improve the reinforcing nature of those new behaviours that may not be as naturally reinforcing (repetition of the word reinforcing, apologies). We can then look at how we can make those new behaviours more reinforcing. For example, I may not wish to get up and go for a walk but if it’s a chance to join a friend for a chat then it is immediately more appealing. Or maybe my brisk walk becomes a time when I listen to my favourite radio show. I also keep the aversive nature of the walk to a minimum by making sure I’m warm, comfortable and it’s not too strenuous at first. It could also be the thing that kicks off my day and gets followed by a guilt free breckie of healthy but comforting foods. I mention all this, not only to help me kick my own bad habits, but for me this time of year is noticeable by a marked increase in enquiries for dog training, often for issues that the family have lived with for a long time. What’s lovely is that people aren’t just thinking about their own personal goals but about the happiness of their friends and family and their pets are included in that. So how do we go about helping families help their pets make changes that may have become practiced over a long time? We do it through small manageable goals that become part of everyday life for owner and pet. For example, maybe we are dealing with an anxious pet that for whatever reason, has become alert to noises in the garden and prone to barking. One small change we can make is that rather than feed their dinner in a bowl in the house, they get it scattered in the garden. This gives them something fun to do in a previously worrying space, removes the opportunity to bark (so reducing the habit) and gives them an opportunity to relax while they sniff and search for their food. For owners, it is probably no extra effort on their part so can quickly become a changed feeding habit. Habits are particularly important to break and create in dog training, both in terms of the arousal of the dog, but also because they quickly become generalised in different situations. So, if we consider a dog that is barking in the car at various things, the first thing to note is how over aroused they are before they have even got to their destination. You will notice that as soon as they get into the car they are alert waiting for triggers - this creates an internal chemistry of stress. This then sets them up for failure and by the time they arrive where they are going, they are going to be in a less helpful state of mind for training and less responsive. We will obviously be dealing with why they need to bark at these triggers but the first step is simply to remove the opportunity in the car, often done by using a covered crate. Then when we arrive at the walk, the vets, or wherever you are taking them, they are already in a better, calmer frame of mind and more responsive to training. The final element that carries over to our training is that how do we make new behaviours more reinforcing? Firstly, a reinforcer is simply something given to the animal that makes them increase the frequency of the behaviour before it. Dog sits, dog gets dinner, dog will quickly sit for dinner. Secondly remember that what is reinforcing is defined by the student not us. We might think that that a big excited bit of praise is reinforcing (and it may be at home or under low distraction), but if the animal’s desired behaviour preceding it doesn’t increase then it isn’t. If we want our pet to be motivated to do a new behaviour then we need to pay for it, and pay appropriately. And reinforcers can be many things, food, games, toys, a chase - often we reinforce behaviours without realising (eg the toy throw after a retrieve which then increases the retrieve). So, in summary, avoid practising bad habits and reinforce new behaviours until they become habitual and in time they will become unconscious too. And if you would like to make one training resolution this year then we suggest resolving to always use positive, science based methods that work with your pet and not fight against them. Good luck with all your goals, I look forward to catching up with you and Widget’s Farm wish everyone a very happy and successful 2017! We’re not. The industry is still unregulated and to be sure you are using a qualified trainer, look for membership of an organisation which assesses their members. Groups like The IMDT and The APDT for example. 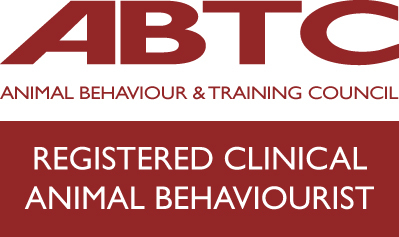 For behaviourists you are also looking for academic qualifications and / or membership of groups like the APBC, UKRCB, CCAB or ABTC. Steer clear of potential pseudo-science and membership bodies with smart logos but that don’t assess their members. It’s simply not true that you will have to put up with a trainer that is lovely to your pup but then shouts at you. There may be some trainers out there that lack people skills but probably no more than any industry. In reality dog training is all about training the owners to train their dogs – it doesn’t matter If Lassie does a wonderful loose lead for me, what’s important if Lassie loose leads for his owner. And if a trainer can’t help you understand what is needed, then training will fail before it’s started. So find a trainer that motivates you as much as they understand how to motivate your dog. Some are, some aren’t. We, like everyone else, own pets with their own temperaments, genetics, health issues and past experiences. And depending on a trainer’s specific preferences and interests, some will do a lot of work on a particular behaviour where others won’t. I, for example, want one of my dogs to undertake lovely controlled retrieves but he would be a beginner if we started doing agility. My other dog arrived as a foster who was very nervous of men and some noises – success and our priority is her ongoing training around becoming more relaxed in worrying situations. Board and train holidays sound like an ideal solution to many family’s hectic lifestyle, but can someone else actually train your dog for you? Well yes and no. Firstly some background… Here are some of the steps our dog goes through when learning a new behaviour: Lure or capture a behaviour > reinforce > repetition > variable reinforcement > generalisation. It’s the term “generalisation” that is important here – this is where a dog learns a behaviour and performs it in many different contexts. It’s common to hear someone say that their dog will walk in heel in some places not others, or that they will listen to some family members but not others. These problems are usually caused by the dog not generalising the behaviour under increasing distractions, because we haven’t trained them to. Generalisation, also called proofing, means we must always train in different scenarios, with different distractions and with different people. So with regards this myth, to truly get a trained dog, that performs the desired behaviours for you too, you also have to train them yourself. We don’t. A professional trainer has simply got a thorough grasp of learning theory and behaviour coupled with years of practice and excellent timing. And the more you train and learn about animal behaviour, the more you will get that same success. So keep practising and remember that each time our pet learns something new, so do we. Socialisation is a hugely important concept but unfortunately one which is often poorly executed. The most common misunderstanding is that “You can socialise your dog at any age” and that there is some sort of sliding scale as they get older. Unfortunately, this just isn’t so and the dog, like humans, has sensitive periods where socialisation is helpful and periods where they are really not in the right frame of mind for new experiences. Firstly, let’s get the terminology straight so I don’t get shouted at over the internet. Exposing your dog to different things can obviously happen at any time, and does. Your dog is always learning and there is a level of brain plasticity throughout their life. But in terms of taking advantage of the critical period where your puppy is laying neural pathways in an optimistic frame of mind (what behaviourists term the critical socialisation period), then this very much has a deadline. And the first deadline that should concern new puppy owners is around 16 weeks. At this point the puppy starts transitioning into a more pessimistic phase at the start of adolescence called the 2nd Fear Stage. Whereas previously your puppy was like a sponge, lapping up new experiences and learning resilience, now they become more nervous of novelty and easily offended – still a sponge but more geared to remembering the bad stuff than the good. And if you have picked up your puppy late, or had a particularly long vaccination protocol, this could sadly be the exact age that you start taking your puppy out and about. The biggest disconnect we find is with dogs that had a very different first 16 weeks from the home they now live in. Examples include the farm bred dog, outdoor reared and who was late being sold – they often know very little more than quiet countryside, tractors and the postie visiting once a day. They then suddenly arrive in a normal family home with microwaves pinging, children bouncing about, traffic and lots of unfamiliar people and dogs. And if this change happens during their 2nd fear stage, rather than habituating to all these novel things, they may become sensitised to them. Another risk group is rescues which see a higher rate of behaviour issues than the norm. Although some dogs are relinquished for very understandable reasons, many are abandoned simply because the cute puppy, bought on an impulse, has now become a big and “annoying” adolescent – unfortunately these puppies have often come from homes where even basic socialisation was non-existent and so are not prepared for life in general. The final risk group is those owners that just didn’t realise how quickly the initial socialisation period whizzed by. These owners care enormously for their dog, and are following all the vet advice. Maybe they also have an older dog in the household and assume that their other dog is providing necessary socialisation for their new puppy. This is the group who I most hope read this blog, as it is always frustrating when they call Widget’s Farm for puppy training and their puppy is already 16 weeks or more. They often tell me that they had been waiting for their full vaccination course to finish or had been busy trying to do everything right at home first – they didn’t realise we could take them into class one week after their first vaccination. So there is certainly lots we can do to help them and get training going asap but, through no fault of their own, they are already playing catch-up. So why is there a deadline? Most likely the 2nd fear stage provides an evolutionary advantage - at around 16 -20 weeks your puppy would naturally start investigating the world more and there is obviously a big safety advantage to be cautious of things you haven’t met before. A dog roaring up to a snake, and getting too close, may not last very long. What has a clear evolutionary advantage in a feral situation, (ie bark at scary snake first, ask questions later), is not deemed socially acceptable when directed at your elderly neighbour. This is sometimes exasperated when the embarrassed owner tells the barking puppy off and so increases how aversive the moment is for the dog. This will simply enforce to the nervous puppy they were right to be worried in the first place and will make the barking more likely the next time. Understanding these early critical stages is important for all owners so that you can take advantage of the optimistic sponge moments and rein it in when your pup is feeling more pessimistic. If you have missed the 6-16 week phase, or taken on an adolescent rescue, certainly don’t worry but also take it slow and steady. You should not feel like you are in some great rush to get your dog to meet everyone and everything - relax because you have already missed that phase and now your approach should be different. Your job is now to help your adolescent dog meet the world at a rate they can cope with. Exposure to new things should be short and sweet, done only if your dog has loose and relaxed body language and ideally followed by something reinforcing. Don’t get me wrong, learning happens all through your dog’s life, but as they become different after 16 weeks so must your training too. "If you can't stand the heat..." - A new blog from Anna at Widget's Farm about conflicting motivations. The Top 10 ways to prepare for your new puppy - a must read for all new owners! A brilliant blog on the "PETRIFIED" checklist - how to help dogs with fireworks. It’s not just we owners who suffer from over indulgence; our feline house-mates are prone to becoming a little “chubby” themselves, which can lead to many serious health risks. Recently Jon Bowen (leading veterinary behavioural advisor), spoke at the Association of Pet Behaviour Counsellor’s (APBC) conference on how to tackle the growing problem of feline obesity. Following are a few points on feeding approaches taken from his fascinating talk. The first issue to note is how commercial pet food has changed over the years. With an aim to reduce transport and packaging costs, pet food has generally become more energy dense. This can make it hard for cats to gauge how much they’re eating, and only a few extra pieces of kibble a day can lead to creeping weight gain. Our own feeding approach can also have a direct impact on our cat’s consumption. Cats are grazers so prefer to eat little and often, on average around seven times a day if given the choice. So unless food is left down, set meal times (usually twice a day to fit around work), can lead to overeating in an attempt to “stock up” until dinner. And then there is our own nurturing behaviour around wanting our cat to enjoy their food and leave a clean plate. It’s easy to succumb to shopping around for different brands because the cat didn’t seem that interested in what they were given. But maybe the cat just wasn’t that hungry. Encouraging the cat to overeat through high flavour food and infrequent meal times, can rewire their brains’ “full” signal causing a vicious cycle where they will then have to eat more to feel satisfied. We also risk mistaking their greetings as a request for food. In fact, if we feed the cat, and then stroke it when it’s eating, some cats learn to eat just to get the desired attention. For cats, eating isn’t always the best reward. For example we might assume that the reward for hunting to the cat is the consumption of the prey. In fact the predatory action of stalking and catching is in itself self-reinforcing, and eating the prey may do little more than satiate a hungry cat. Although not tried myself, I’m told the average unseasoned mouse is pretty bland. So what to do? Well the specifics will depend on each cat but generally little changes make a big difference. To start with, some cats may benefit from food left down all the time to remove the urgency around eating. This is particularly successful if there is some effort to get to the food, such as by using the Trixie “activity board”. This ensures the cat will only eat if the gain outweighs the effort – i.e. they are hungry enough. In addition, keeping the food bland and without variety, reduces unnecessary eating. This also helps to rewire the stomach to brain connection, and help them listen to the correct “full” signal. And finally remember that a chatty happy cat trying to trip you up with all the leg winding, may not be asking for food, but trying to get your attention for a game or a cuddle – most cats are far more sociable than we realise and really don’t just see us as glorified tin openers. Although I believe mine only sees me as a heated cushion for the winter! A shocking new animal welfare report by leading veterinary charity, PDSA, reveals millions of pets are more aggressive, overweight and misunderstood than ever. 1.3 million dogs across the UK are displaying problem behaviour, 18.5 million dogs, cats and rabbits are being fed deadly diets, and 11.2 million pets are at risk of life threatening disease due to not being vaccinated or neutered. The Report reveals frightening levels of problem behaviour in dogs, with growling, snarling and aggression towards people and other animals happening on a regular basis. The highest levels of problem behaviour are seen in Northern Ireland and the East of England. Of the owners surveyed for the PAW Report, 24% in Northern Ireland reported that their dogs show problem behaviour on a regular basis. The area of the UK with the least reported problem behaviour in dogs was Wales (8%). The Report warns that while in some cases dogs are deliberately trained to be aggressive, the primary cause of the anti-social behaviour is a lack of socialisation and basic obedience training when dogs are young - 61% of dogs (5.3 million) never attended training classes within their first six months of life, an increase of 11% on last year’s figure. What is encouraging is that 95% of pet owners believe that dog owners must take full responsibility for their dog’s behaviour; key to this is educating owners on the importance of training and socialisation.